Friday morning, between 11am and noon U.S. Central time, I'm going to be the lucky guest on St. Louis Public Radio on an arts and culture program called Cityscape. Whoo hoo, somebody thinks I got culture! You can listen live on the internet - so join me if you can. The show repeats in the evening from 10pm - 11pm. So, if you miss it the first time around - you have a second chance. I'm very excited about this homecoming event/concert. Today was magical just flying in to St. Louis, seeing the arch from the air, driving by my old house, and remembering all the great friends I have here. Looking forward to the big concert Friday evening, 7:30pm, Lindburgh High School. To listen live - click here. Look in the upper right corner of the page for Listen Live. 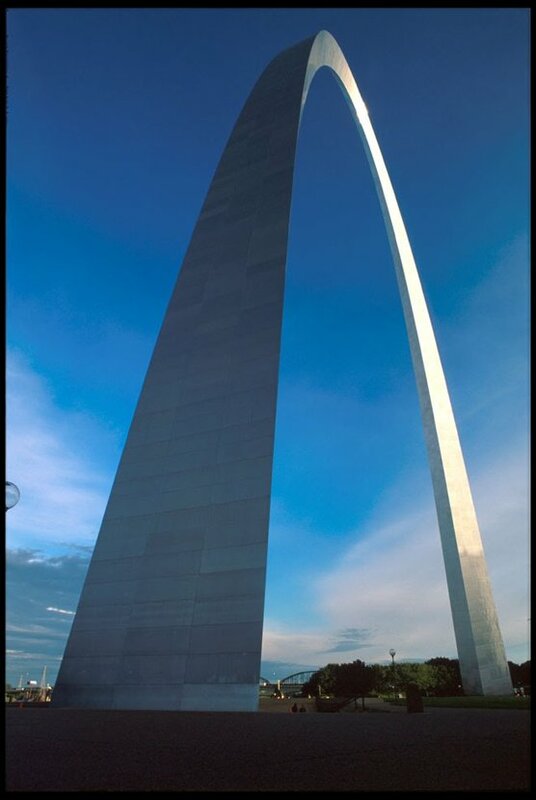 I moved to St. Louis in 1998. It was there that I built my recording studio and began doing more extensive music production. 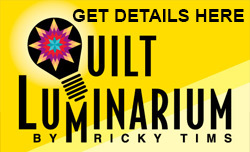 In 1991, I took up quilting (see my bio) and eventually found the Thimble and Thread Quilt Guild. I eventually belonged to three groups in St. Louis. 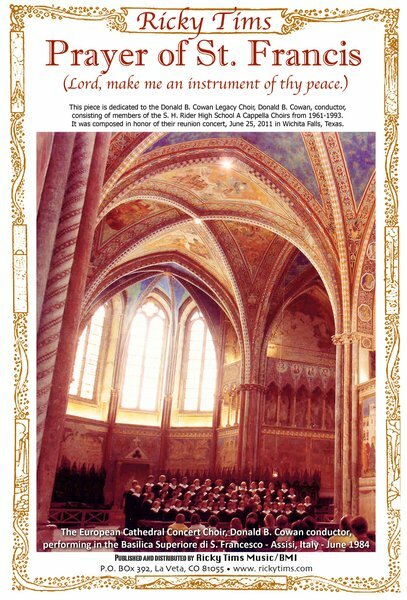 This weekend I'll be heading back to St. Louis for a Homecoming Concert to pay tribute to all the wonderful folks that fostered me during my formative years as a quilter. I moved to Colorado in 2000, but I will forever be thankful to the caring and generous quilters in St. Louis for their friendship and encouragement. The concert is Friday night at 7:30 pm at Lindburg High School. Hope to see you there! 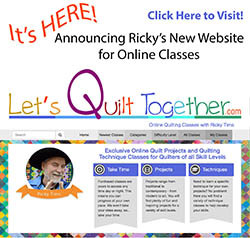 Once a year Justin and I get the pleasure of producing a series of 13 bite-size instructional videos for Bernina USA to be posted on The Quilt Show website. 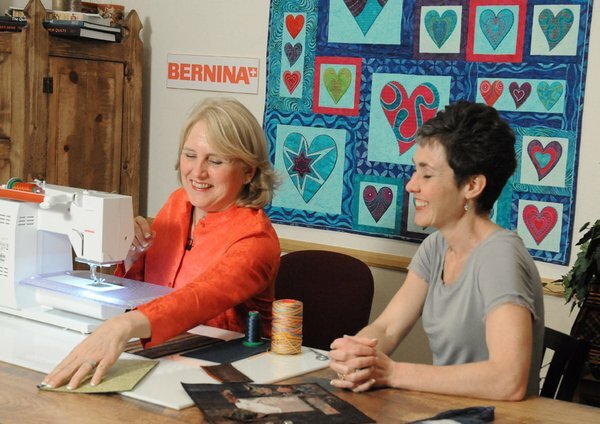 Nina McVeigh, National educator for Bernina and Jennifer Gigas, VP of Education for Bernina USA arrived on Wednesday and we managed to tape all 13 videos in one day. The new videos roll out on TQS between May-October this year. In the meantime - check out the library of videos currently posted. Hey everyone. I got to spend real time driving a Gammill. Nurse Wanda and her husband Ed have moved to La Veta and her Gammill is set up and raring to go. 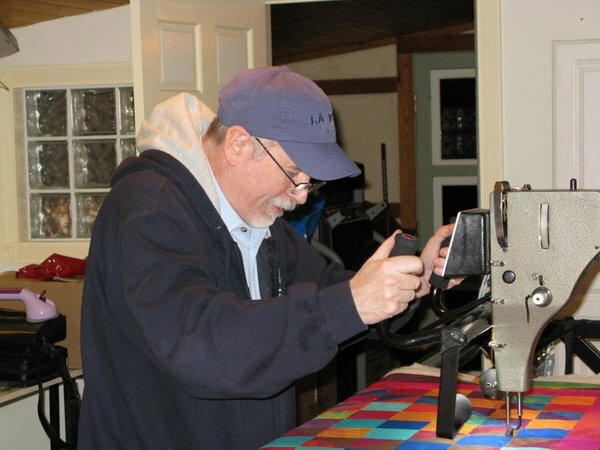 As you may know, all of my quilting has been done free-motion on a domestic machine. I kinda like giving this a try. 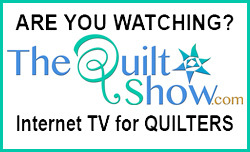 What do you prefer: long arm quilting, domestic free-motion quilting or hand quilting?